At the start of Passover this year, I did retrospective of the top 5 kosher wines I’ve reviewed since 2009. While organizing my favorites, I realized that there wasn’t a single white or sparkling wine in my top 5, although that isn’t for a lack of my trying them over the years. So, as the holiday started this year, I admit that I felt a new pressure to find a few gems that could diversify my favorites into a well-rounded showcase of what kosher wines have to offer rather than being an all red, mostly Israeli list. Unfortunately, though, this year’s kosher sparkling wine disappointed and the Israeli wines continued to outshine the others. As the end of April and Passover drew near, there was one bottle left for me to open—a California Chardonnay. The heat wave that hit the DC area had me longing for a crisp, refreshing white, but I opened with the bottle with some trepidation as my previous attempts at whites had let me down. The 2009 Covenant Lavan Chardonnay (winery, snooth) was a medium lemon yellow. On the nose, there were lemon wipes, grapefruits, pears, and vanilla. In the mouth, there were lemons, grapefruits, apricots, vanilla, and a hint of ginger and cloves. The wine had bright acidity and a medium body. Is this worth a glass after work? Definitely! If you see this wine in the store, grab it; you won’t be disappointed. At $37, this wine is definitely a little on the expensive side for an everyday wine, but it’s delicious and well-worth the money. The wine has nice complexity, good balance, and only the slightest hint of oak. It paired nicely with the lemon pepper chicken and green beans that Hubby made for dinner, but was also the perfect wine for sitting on the couch and catching up on the TV shows that were piling up on the TiVo. It’s a wine that I would drink even if you aren’t looking for something kosher. 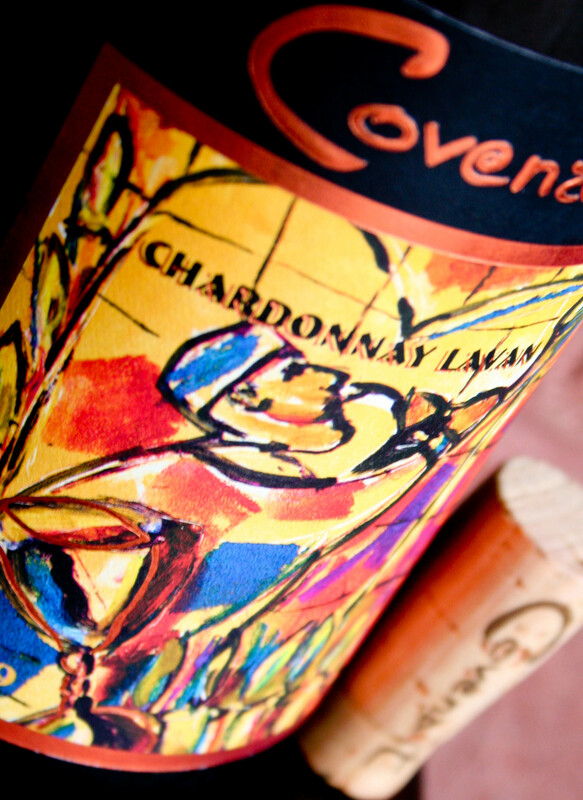 Thank you for the kind words about our Chardonnay Lavan. Who are you? I haven’t seen your blog before. If you live in the DC area, you can probably find our wines at Dean & Deluca and also Wegandt Wines (3519 Connecticut Ave NW Ordway & Porter Sts). And if you’re ordering by email…you can also order direct from us w/free shipping on case purchases. Come see us in Napa Valley if you plan a trip out here! I’ve actually had your wines on my to-buy list since reading a review of 5 of them back in 2009 on Vinography.com, but the price always made me a little hesitant. I’m sorry I waited this long to try one, though, as there is no doubt that there will be more Covenant wines in the A Glass After Work household. I ordered this wine online at Kosherwine.com, but it’s nice to know where I can find them locally and that you offer free shipping through the website. And I will certainly let come buy when I make it out to Napa. Thanks for visiting A Glass After Work and commenting. And thank you for making such a delicious wine!